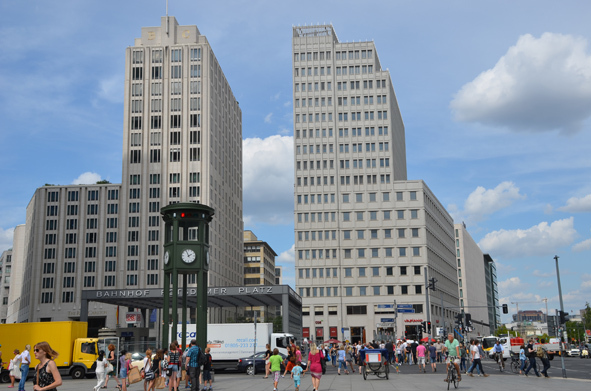 Potsdamer Platz was once one of the most popular and busiest squares in Berlin. It was a major intersection and was among the first to have traffic lights in Europe. The new train station, built in 1838, brought along hotels, restaurants and places of amusement. It was a fashionable rendezvous point for the political, social and cultural scene in the city. World War II and the subsequent division of the city transformed the place into a wasteland. It became the largest death strip in Berlin and remained barren during the 25 years of the Wall. Significant changes arrived with the reunification of Germany. 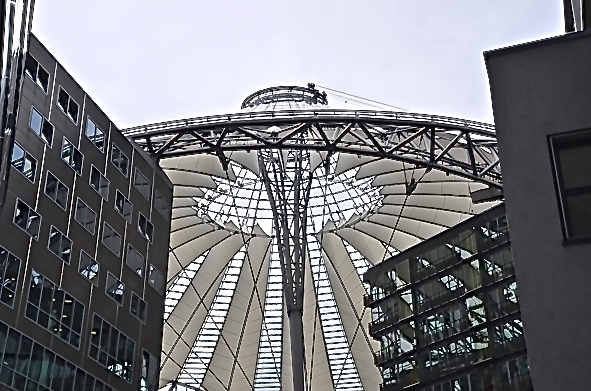 Potsdamer Platz became the scene of major redevelopment projects and Europe’s largest construction site. 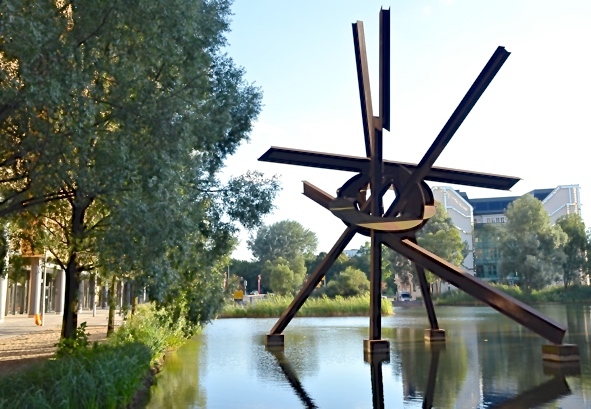 Today it is the new heart of Berlin; a place where world-famous architects have left their marks. Discover these architects and their incredible work. 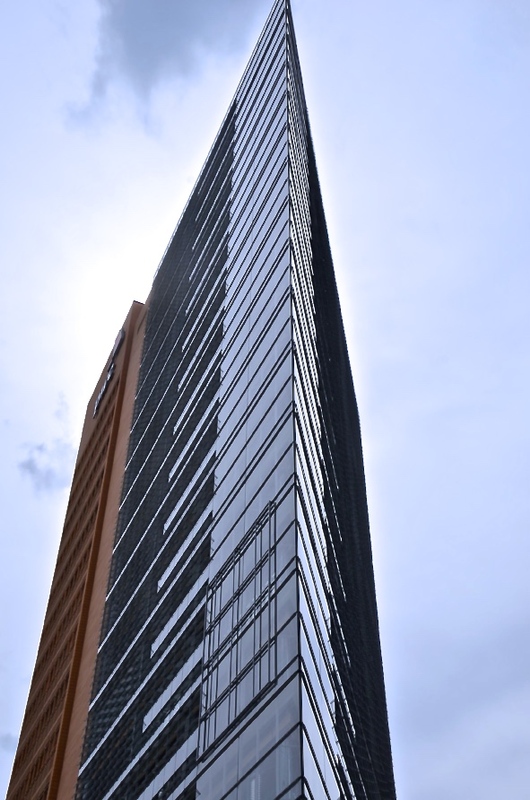 Across from Potsdamer Platz, the Leipziger Platz also received a major face-lifting, which will be discussed. 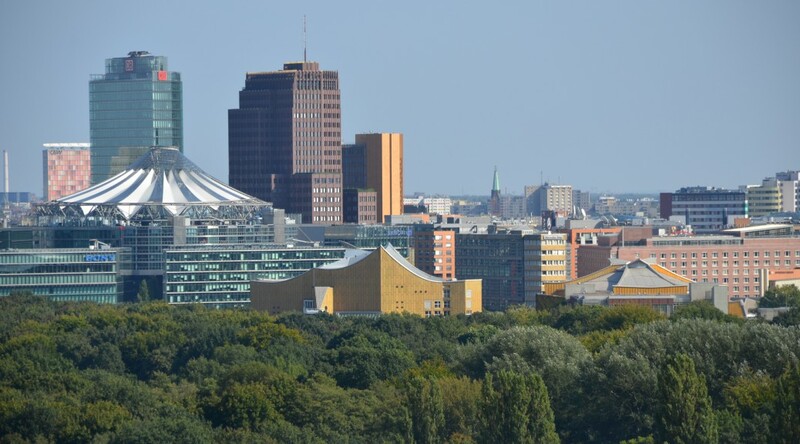 To the western side stands the Kulturforum, a collection of cultural buildings, which houses museums such as the New National Gallery (the centerpiece of the complex), the Gemälde Gallery, the Berliner Philamornie and other cultural institutions.